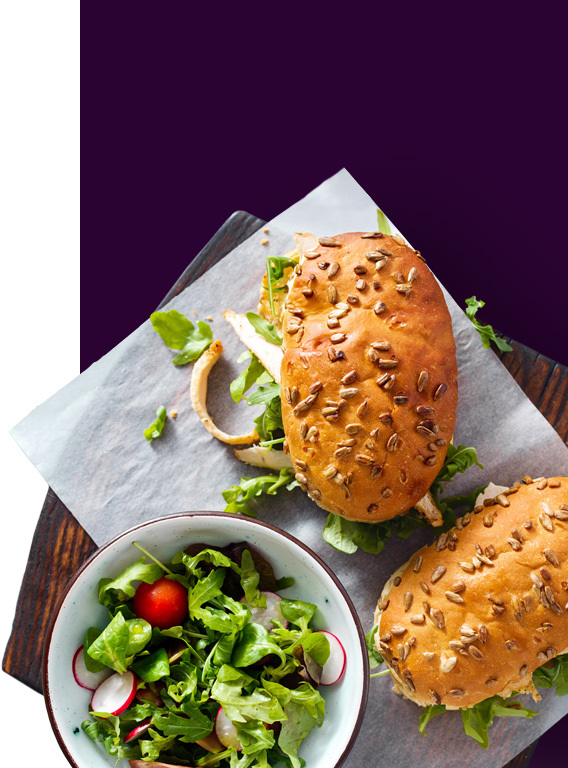 By using GoSpotCheck for a new product launch audit, this top 5 fast-casual restaurant's field reps reduced time collecting data at its locations by an astonishing 75%. The restaurant has stores in almost all 50 states and continues to be a staple of the United States’ fast-casual industry. Given the vast number of store locations, the company’s leadership needed an effective tool for understanding operations on a per-restaurant level. Visibility into franchises, by way of structured data, could provide an unprecedented level of efficiency. Data aggregation would also enable the restaurant to react quickly to critical audits and build an extremely actionable data set. Many restaurants — and almost certainly the top fast-casual restaurants — have challenges surrounding operational execution. Ensuring consistency across units, so that all consumers have the same dining experience, is a cornerstone of the fast-casual industry. Not surprisingly, maintaining and improving service, uniformity, and overall execution across thousands of stores is difficult to manage. Similarly, measuring field operations was a critical component of this market leader’s strategy, and management began looking for software to enable related data collection. Before implementing GoSpotCheck, this Top 5 Fast-Casual Restaurant was struggling to act on disorganized, disparate field data. The restaurant’s leadership recognized the importance of structured, actionable intelligence and began searching for a solution to help with time inefficiencies, outdated notes, and limiting tools like Excel spreadsheets. In order to understand and develop key field initiatives, the restaurant turned to GoSpotCheck. As part of the plan to launch a new menu item, this Top 5 Fast-Casual Restaurant wanted to measure the product’s execution across all restaurant locations. Under the current system, field reps would visit franchises nationwide to conduct menu execution audits. 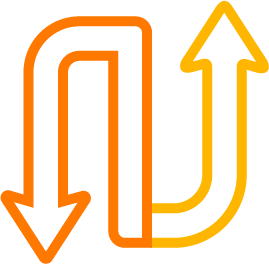 The reps would score the new item on four key attributes to ensure consistency and identify areas for improvement. To structure the audit, the restaurant created Missions—the GoSpotCheck word for surveys—with questions surrounding ingredients, preparation, and more. Missions were instantly launched to the field and reporting dashboards with automatically aggregated data populated in real time. The restaurant fully implemented the GoSpotCheck solution—including all on-boarding—within two weeks. By using GoSpotCheck for the “new product launch” audit, field reps reduced time collecting data at restaurant locations by 75%. Similarly, management lessened the time aggregating and organizing data by an astounding 97% (Figure 1). 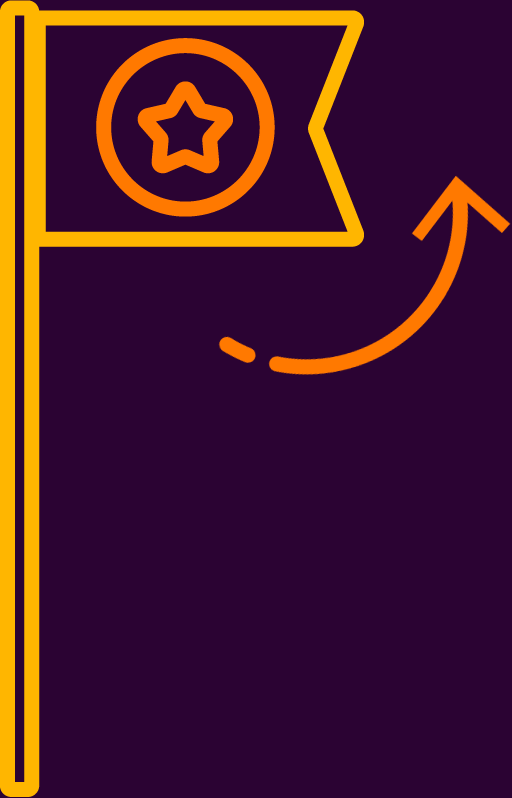 Management had the luxury of directing attention towards action items instead of spending time putting field data in a clean, shareable format. The four-week audit on the new menu item demonstrated that this restaurant drastically improved internal efficiency and productivity. 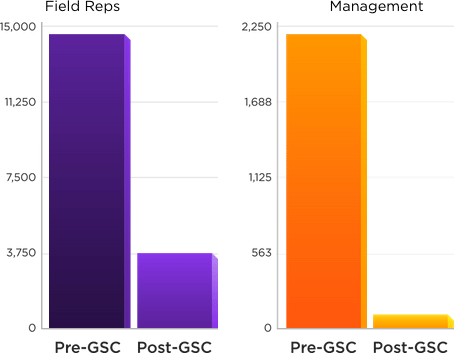 GoSpotCheck helped the fast-casual leader reduce cycle times by almost half. 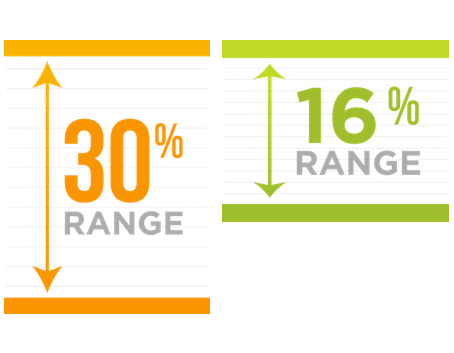 Data from GoSpotCheck Missions showed a reduction from a 30% range in total product execution to a 16% range (Figure 2). The restaurant’s management was able to quickly react to findings from early test markets and vastly enhance overall performance. Instant feedback and real-time data decreased the number of product issues over the course of a few weeks. Inside the GoSpotCheck dashboard, this Top 5 Fast-Casual Restaurant can filter audit results by location, rep, account, and more. The aggregated data helps quickly identify which regions are performing consistently against product standards and isolate regions showing variances. 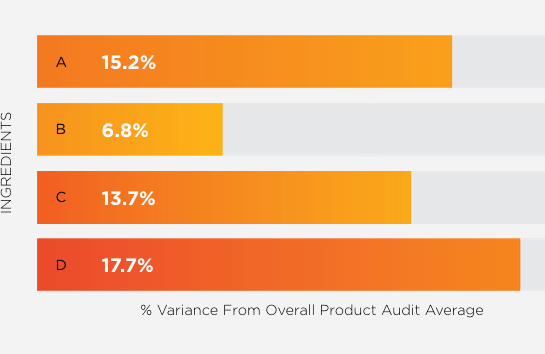 During the “new product launch,” the bottom three regions averaged a variance from standards of 28.6%, and the top three regions averaged a variance of 11.3% from standards (Figure 3). Armed with this information, the restaurant’s leadership directed training and education towards locations that needed additional resources. Furthermore, the top performing regions became examples for company-wide best practices. GoSpotCheck data is organized in a manner that helps find a relationship between product ingredients and performance. 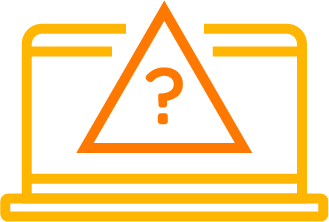 Key product risks can be clearly identified before a nationwide rollout of the new menu item. During this restaurant’s audit, Ingredient B proved to be the largest issue, which gave management foundation to positively alter the ingredient to better suit the menu item. Data also demonstrated what ingredients were performing well, like Ingredient D (Figure 4). This Top 5 Fast-Casual Restaurant continues to grow and expand. Executives implemented GoSpotCheck’s mobile application and web dashboard to manage data collection and reporting, thus increasing transparency within the organization and consistent performance across all units. Data measurement and quality assurance reached new heights, and employees became more efficient as a result of additional time-savings. Schedule a live demo with a product expert to see how GoSpotCheck’s field execution management platform can transform your business. 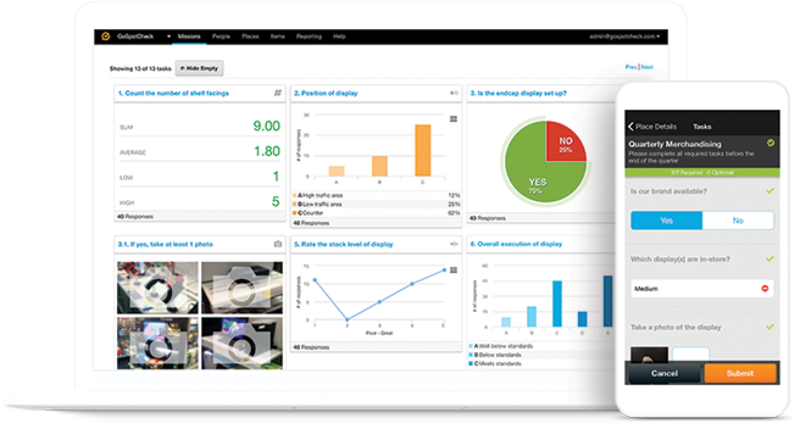 Alliance Sales and Marketing leverages GoSpotCheck to monitor sales and inventory changes at the store level. 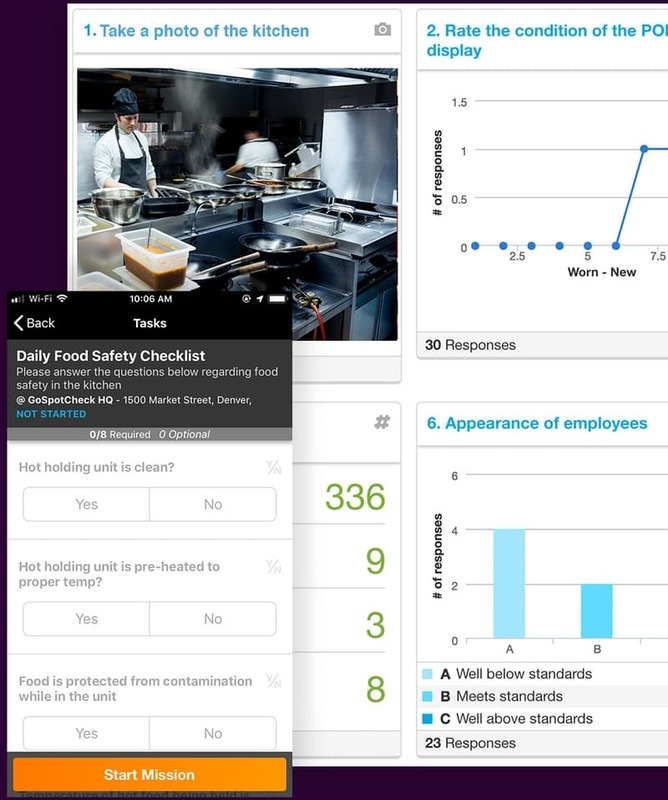 The combination of a task-based food safety process and the right technology empowers restaurants to ensure compliance.